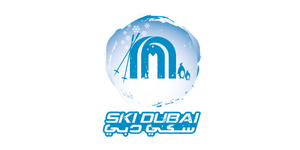 ENJOY SKI DUBAI 20% OFF UAE RESIDENT RATE - U.A.E residents now have Snow Much to Do at Ski Dubai! Ski, Snowboard or just hang out with Penguins - now at a better price. Get 20% off any Ski Dubai ticket when you book online and add your UAE Emirates ID to get the discount. Kindly note that Resident Rate offer is applicable on tickets that have the UAE Flag Icon only. Widely celebrated as one of the UAE’s top visitor destinations, Ski Dubai has been recognised by different associations and won prestigious outstanding Achievement Awards since its opening in 2005. Having quickly established itself among the region’s best family-friendly attractions and lifestyle brands, Ski Dubai has been recognised as the world’s best indoor ski resort in 2016 and 2017. At Ski Dubai’s Snow Park area you can experience all the magic and fun of building your own snowman or just enjoying fun in the snow. The 4,500 metre square Snow Park gives you the chance to go sledding and tobogganing, climb towers, explore a breath-taking indoor ice cave and provides many activities for children and adults. A world-class indoor resort in one of the world’s most incredible cities, Ski Dubai is an attraction like no other. Whether you’re a skiing pro or an absolute beginner, pay them a visit to discover for yourselves what makes Ski Dubai so special!